Obituary for Patrick Debardelaben "Coach D" | Dixon Funeral Home, Inc.
Memorial services for Patrick Debardelaben affectionately known as “Coach D”, 67, of West Columbia formerly of Saginaw, Michigan will be Saturday, March 23, 2019 at 11:00 a.m. at Dixon Funeral Home in Angleton with Pastor Anthony Hall officiating. 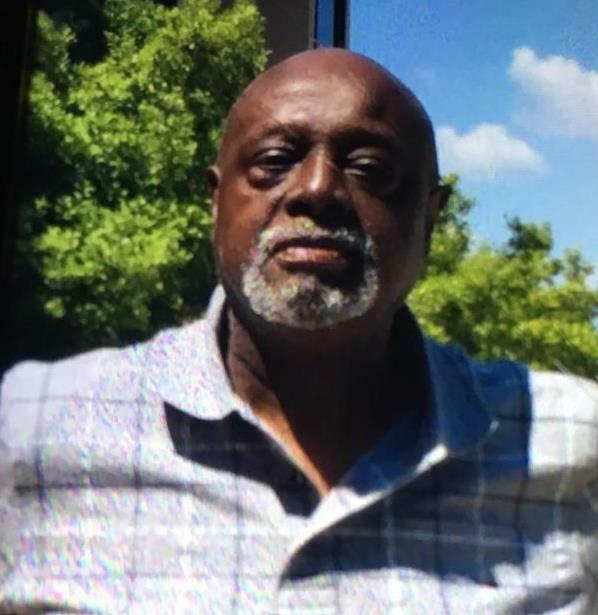 He passed away on Saturday, March 9, 2019 in West Columbia, TX. He was a teacher and coach at Northside Elementary in Angleton, Texas where he retired after 20 years of service. He worked for Texas Association of Sports Official where he refereed basketball and football games. He also officiated for the American Softball Association and all youth programs in Brazoria County for over 25 years. He was the founder of the Whistle Posse and the members were Ronnie Perkins, Jackie People, William Brown, Clarence Johnican, Burnice Black, Phil Robertson and Steve Holley. He was a fun loving person who never met a stranger. He loved his fiancé dearly and her family especially her grandchildren. He enjoyed the family gatherings. He leaves to cherish his loving memories; fiancé, Yvette Jones, West Columbia, daughter, Mia Debardelaben, Arizona, 2 brothers, 2 sisters, Michigan, step-children, Donald Scott, West Columbia, Jason Scott (Zaundria Shanklin), Justin Scott (Ashley Lemon) and La’Toya Scott all of Angleton, grandchildren, Audriana, Makya, Khaison, Khaylour and Kohen, special step-nephews, Brandon Dixon, Brazoria and Andrew Jones, West Columbia, special cousin, Debra Williams, West Columbia, special sister-in-law, Eula Farris, Houston, good friends, Charlotte Johnson, Nancy Broussard, Alvin “AL” Banion (Jackie Burnett), Jamie Williams (Marie), Trevor Lambeck, Brian Dodds (Liz), Rodney Williams, Norman Morgan (Jennifer) and Kevin Davis, nieces, nephews, referees of TAOS, ASA, other relatives and friends. Visitation will be the day of the service from 10:00 a.m. to 11:00 a.m. at Dixon Funeral Home in Angleton.